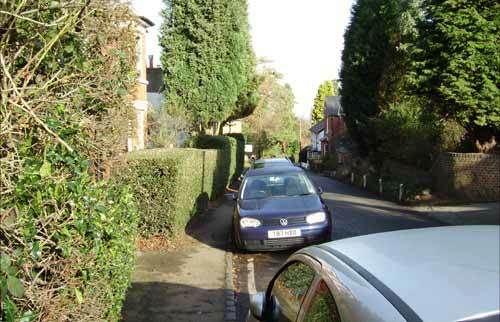 A stroll down Church Road, and a few of the side roads, in Aspley Heath. 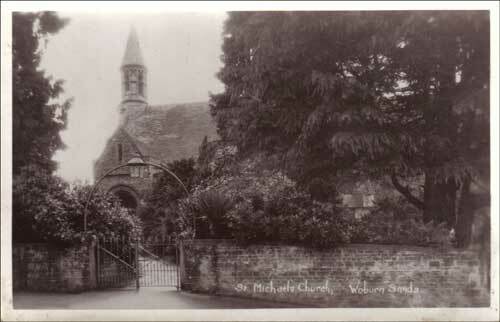 Please note: Dates given refer to the date of the original postcard (if used), which could have been years after the photograph was originally taken. 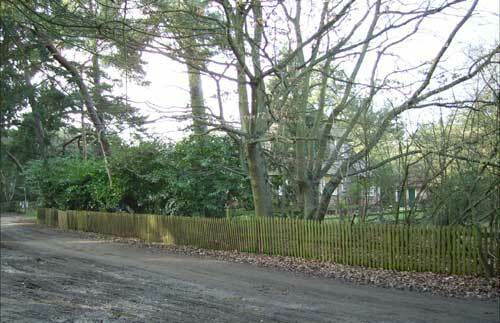 All the modern views were taken in January 2006. 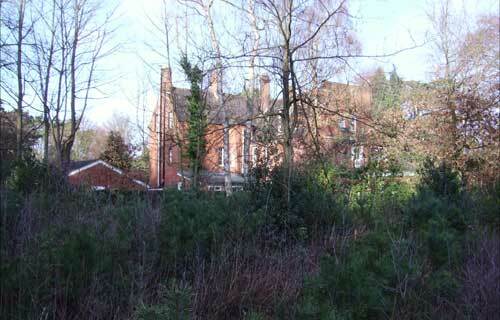 The New Lodge is now almost completely hidden from view at the top of Church Road, Aspley Heath. c.1919. 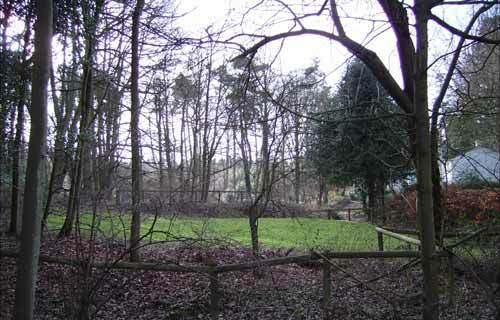 Deep in the woods stands the Knoll, for many years a private school. 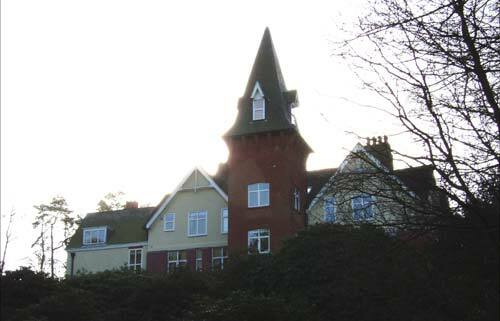 It was converted to flats in 1987. 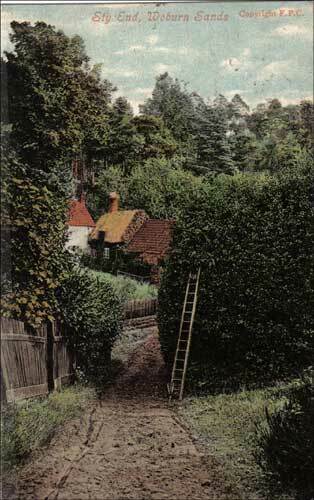 This view from 1904. 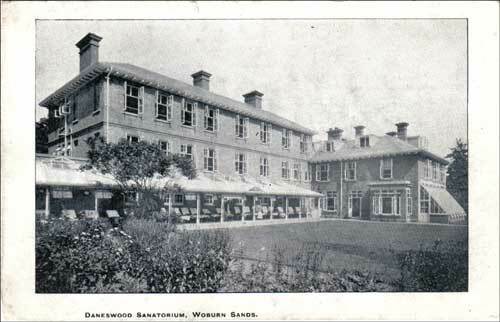 Daneswood originally opened as the “Jewish Sanatorium for Consumptives”. 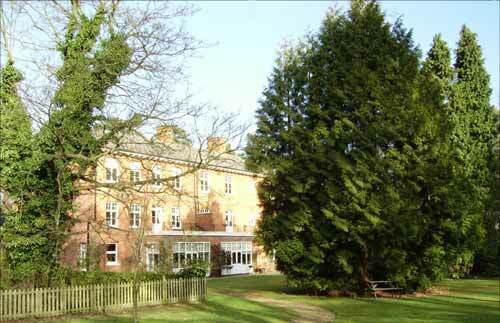 Later it became a convalescent home, and is also now converted to flats. 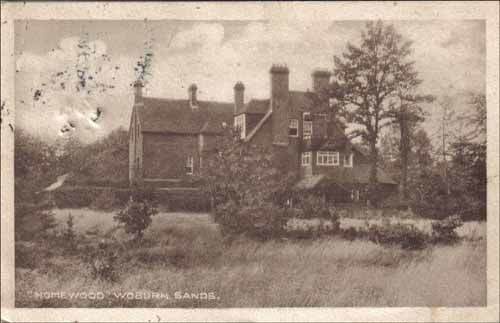 This view, with day beds out in the fresh air, from c.1905. 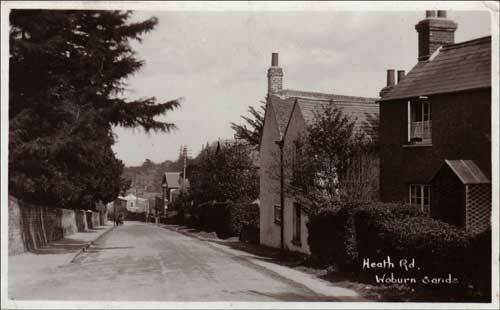 On Heath Lane stood “The Flying Duck”, also known as “The Heath Hotel”. 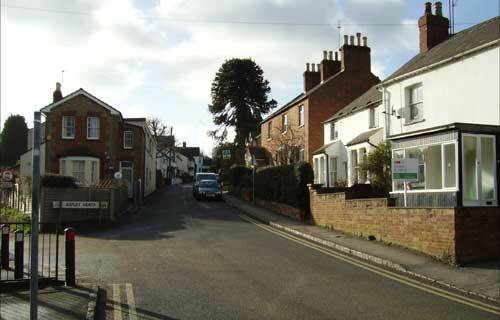 The signpost for this beerhouse is on the left of the picture. A welcome rest stop for walkers taking the pine airs. c.1906. 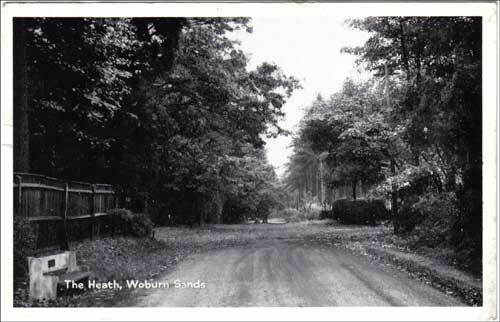 Starting down Church Road proper, look behind you to where the tarmac ends and the woods begin, 1959. 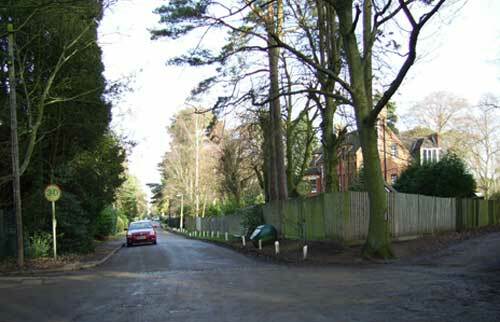 Church Road begins its descent in front to the left, while the top entrance to Sandy Lane is just in front of Homewood to the right. c.1915. 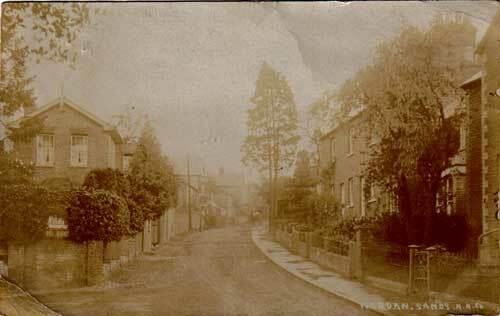 A nice deserted shot half way down the hill, from 1907. 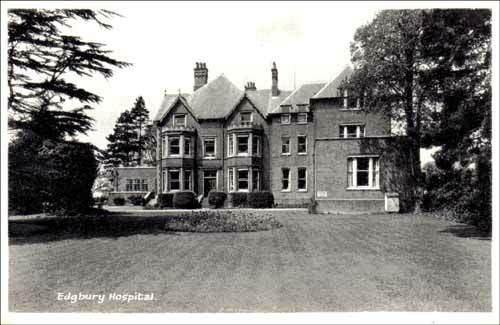 Edgbury was the residence of Alfred Allnut, before becoming another convalescent home. 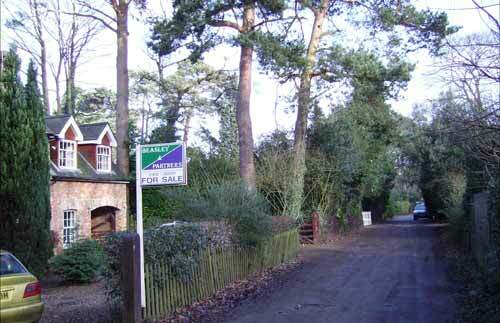 This was the last of the homes on the Heath, still operating well into the 1980’s, before becoming business premises. 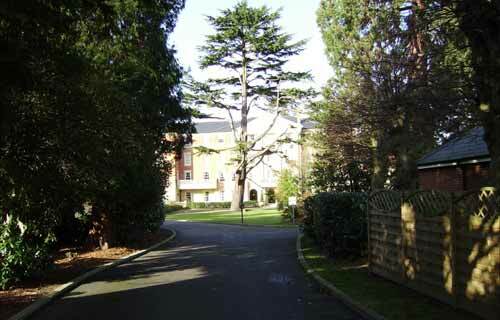 After standing empty for some years, it was demolished and the flats you see today built on the site. Many a recovering patient sent a postcard home! This view from 1959. 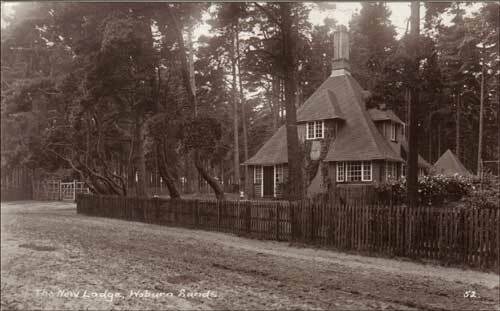 Leighton Hollow, or Georges Square, was a collection of cottages standing inside the woods off Sandy Lane where Holly Walk meets the woods. 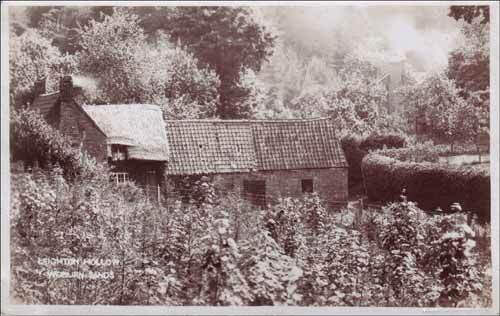 It was the home of the Lee family, brush makers, who made their wares from the woods around them. 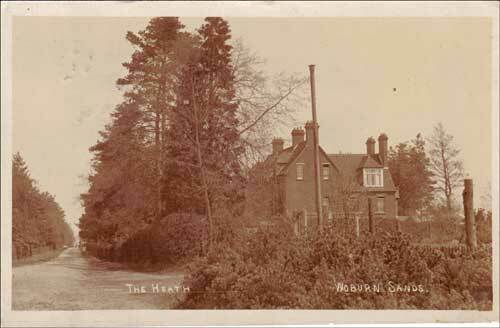 The well here originally provided water to the homes on the Heath. 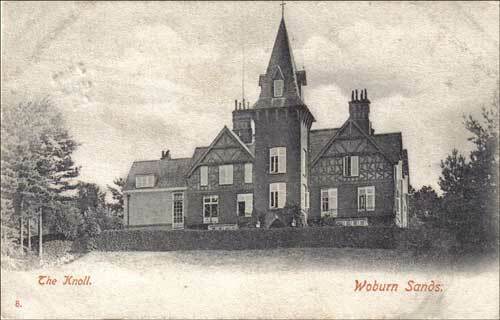 Demolished in the early 20th century. 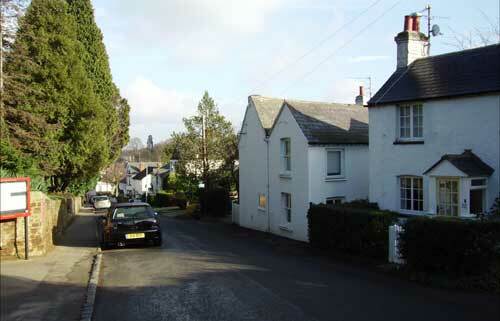 Sandy Lane runs between the house and the hedge on the right. c.1910. 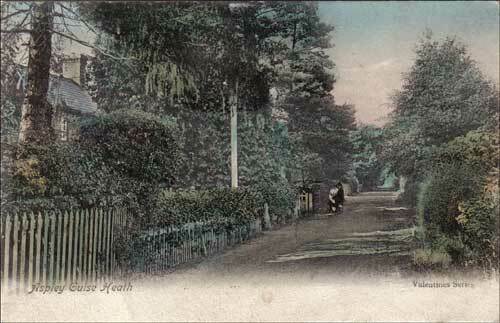 View down Holly Lane, across Sandy Lane, to Leighton Hollow. 1906. 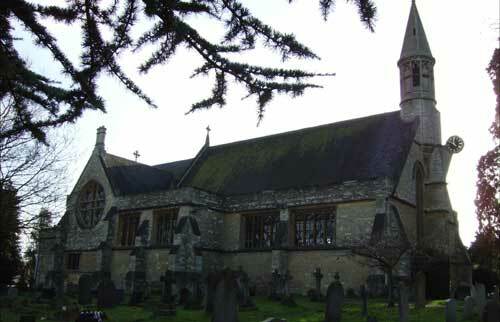 St. Michael’s Church, built 1868. 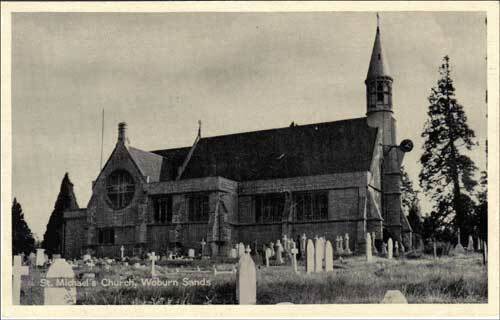 A relatively young church, the ecclesiastical parish of Woburn Sands was formed out of parts of Wavendon and Aspley Guise. It was enlarged in 1889. This view c.1959. 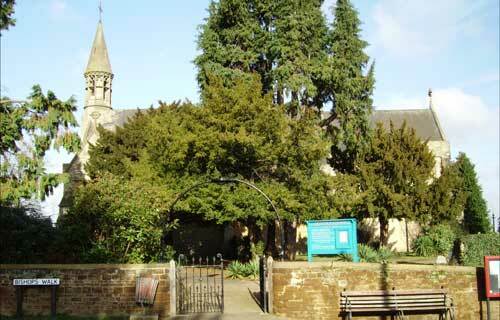 The view most people are familiar with, the entrance to the church at the side of Bishops Walk. Undated. 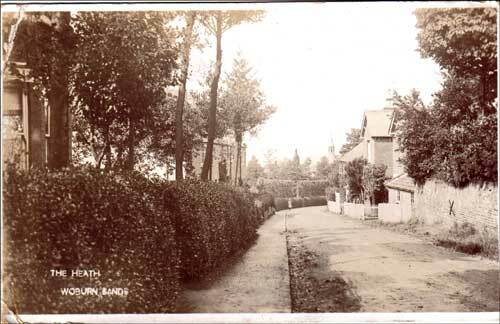 The church wall is on your left, another clear road in 1933. 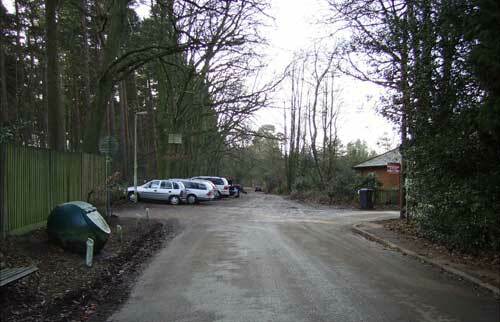 You have reached Woburn Sands Square and look back up the entrance of Aspley Heath. 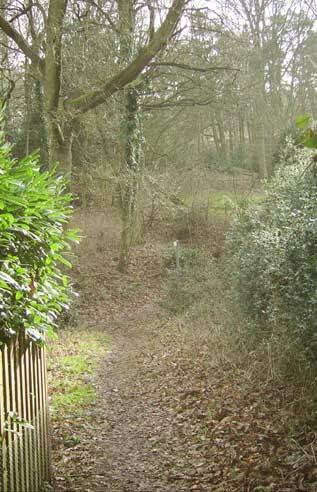 The bottom end of Sandy Lane is just off picture to the left. 1914.